Editor’s note: Beginning with this issue, Weekly Buzz will be published on Saturday night. We will try to provide updates until 6 PM and then publish at 8 PM every Saturday, Pacific Time. Sunday will be a day of rest, reflection, and rejuvenation. Anglophiles gathered at a star-studded gala to honor Sir Richard Branson of Virgin Group and to raise funds for Save the Children and Virgin Unite. 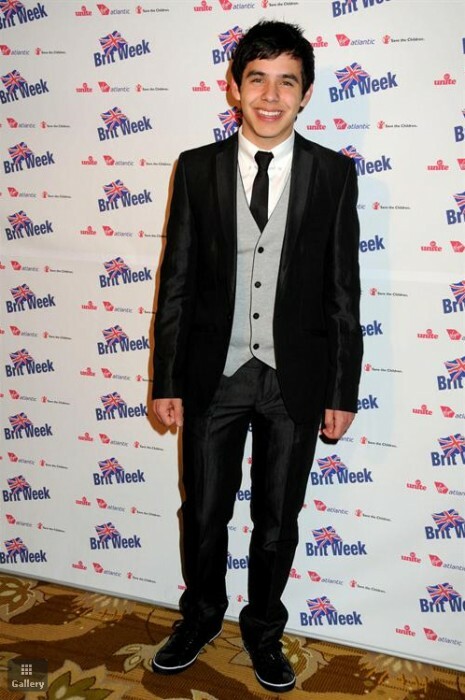 The dinner guests at the Beverly Wilshire in Los Angeles were treated to a special performance by David Archuleta. Accompanying himself on piano, he sang “Imagine,” written by British Beatle John Lennon. David also performed an a cappella version of “Prayer of the Children,” written by fellow Utahn Kurt Bestor. Listen to snippets of both songs, provided by Jaunted, the pop culture travel guide! More photos of David at the gala event are posted on David-Daily. The day after his BritWeek performance, David posted a blog. Read the entire blog to find out what he says about earthquakes! Yes, they do have earthquakes in Utah! DA Buzzing has written about it again and again. 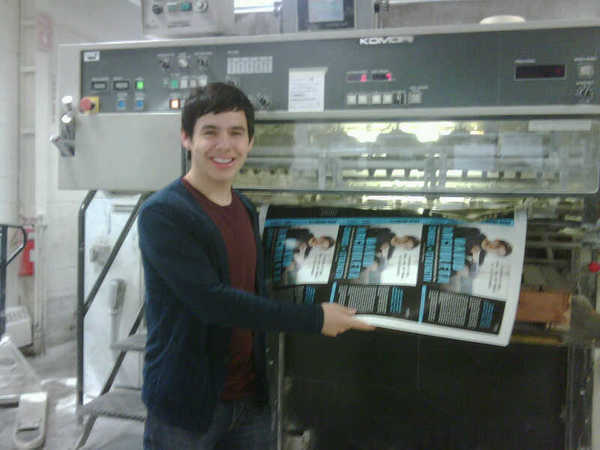 On 15 April David Archuleta was standing by at Coral Graphics, Long Island, NY, when the first print of his book cover came off the printing press. He was quick to share this photo of himself on Twitpix. Doesn’t he look like a happy author?! 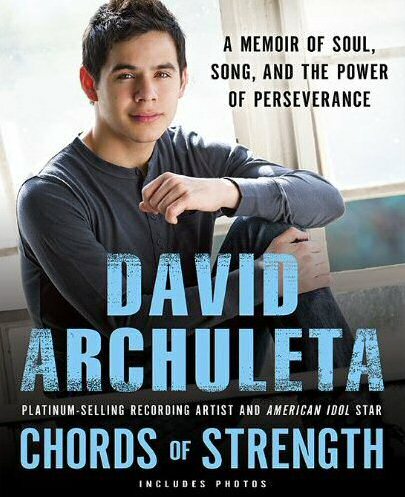 Chords of Strength will be available online and in bookstores on 1 June 2010. You can pre-order your copy for $15.48 today on Amazon.com. If the price drops again by release date, you’ll receive the lower price. > Hey guys just wanted to clear something up real quick lol. Last night in New York I got invited to go and see my friend Charice perform..
> Mental note to self: always ask where before you go! Wasn’t my kind of place lol, and I had no clue! I guess you live and learn. The..
> upside was that Charice was awesome, and she has an incredible voice. Hope that clears things up! Been seeing some of the tweets.. sheesh! > Can get crazy quick. NO worries all, I wouldn’t get into things like that intentionally haha. Hope you guys have a good Sunday! > @kahlidalbow Back home :). Spending time with the family! I just didn’t want you guys to be worried so had to let you guys know the facts! > @DebVaFOD Thanks a bunch! Charice is great and she didn’t mean to do cause any harm haha. She apologized a lot after. She’s way nice lol. > @hamghost I have friends who are gay, and they’re great people. Whether they’re gay or not doesn’t change how I think of them. > @hamghost I have nothing against anyone, I’m sorry if that’s how it came across. I’m just not into the partying scene lol. > @amyheartsoliver The weather here is great! Going to spend the rest of the day with my aunts and cousins! > So it was my cousin’s birthday yesterday! Going to hang and celebrate today! > Back in LA. Off to work on some more music. > We have a chorus down already! Working with @GuyAChambers and Erika from @TheWritingCamp as it rains outside. > Have another song written. Now time for Thai food for dinner! > Wow, I crashed in bed before 11 last night. I never do that. But I feel so much better now lol. Ready for another day of writing. > Back working with Erika from @TheWritingCamp and @GuyAChambers on song #2. > Had a great time today. Finished another song, and recorded vocals for both songs we wrote. Now I’m starving! Food! > I have the song Africa by Toto stuck in my head. I don’t know where it came from but the chorus has been replaying over and over. > Happy Earth Day! To the Earth, and everything and everyone on it haha. > Had such a great night at the event! Morgan Freeman was there and I’m bummed I didn’t get to catch him! He’s amazing lol. > Writing session today with The Nexus, who are totally awesome by the way. > Hey guys! 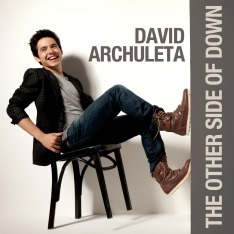 I have a new blog up … check it out at www.davidarchuleta.com. > Just ran into Scott Macintyre. He said he just got back from doing a show in Japan! Ah he’s so lucky! > Finished writing for the week! Had a good time with the Nexus. > Back home for the weekend! Surprised my family because I didn’t tell them I was coming haha. Follow David Archuleta on Twitter. He now has more than 360,000 followers, but who’s counting? —I am!!! MTV’s Kyle Anderson conducted a poll asking “Which American Idol performance is the best of all time?” Conducted the day after Crystal Bowersox’s performance of “People Get Ready” on the current American Idol, Anderson said of Bowersox, “she elevated herself to the rare echelon of “American Idol” contestants who are in the conversation for the title of “Greatest ‘Idol’ Performance of All Time.”” The outcome of this poll was predicated on these two factors; polltakers quite naturally tend to vote for the last person they heard or read about in such glowing terms. This poll was flawed further by the fact that David Archuleta’s “Imagine,” a show-stopper for all time, was not included. What’s MTV Newsroom Blog to do? Well, create a new “fan-nominated edition,” of course! 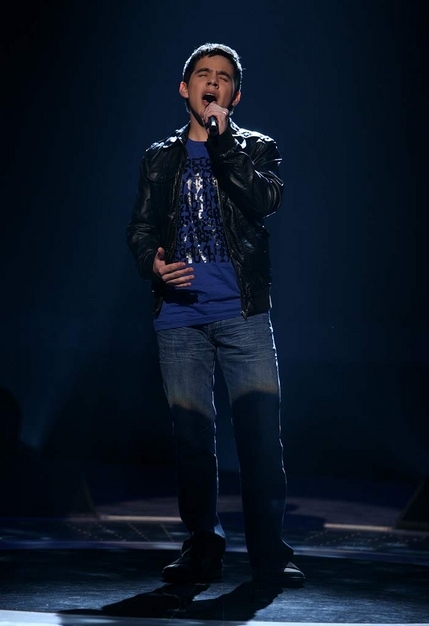 The poll question was “Which fan-nominated “American Idol” performance is the best of all time?” The second poll included both Archuleta and Adam Lambert’s “Mad World.” Archuleta won handily. Is MTV Newsroom Blog playing fast and loose with the Archies and the Glamberts? Lots of ways to vote for David Archuleta! Currently, David has 32% of the votes, with Nick Jonas coming up at 27% and Justin Bieber at 19%.